Once algae becomes a problem, treating the cause is required for a lasting and successful solution. Treating algae directly is not effective algae control. 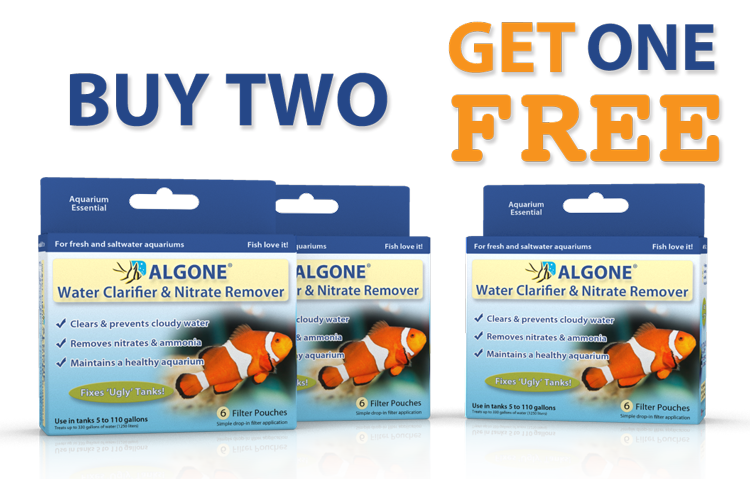 Real aquarium algae control is not accomplished by dumping chemicals into the tank. While chemicals may destroy the algae, in the long-term they worsen the conditions in the aquarium, making renewed outbreak more likely. Dead algae increase the accumulating organic waste in the aquarium, leading to an increase in nitrate. It is well established that nitrate is the primary cause for algae growth within the fish tank. Algae is only the symptom. Nitrate is the REAL cause of algae growth. 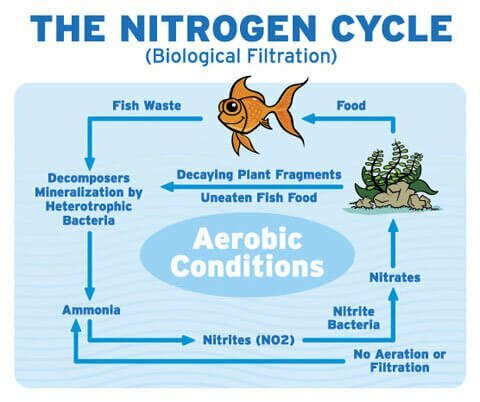 Nitrate, resulting from the breakdown of organic waste, is the cause and therefore the real problem in the aquarium. Since this is a one-way downward spiral, once we understand the environment and accept that there will always be some algae in the system, we can approach algae control in a much more effective way. Furthermore, algae are part of a healthy aquatic environment and are an important supplemental food source for many species. Algae are always present: either naturally (in the form of spores), or by catching a ride on newly purchased ornaments, fish, and plants. There, they patiently wait for favorable conditions that will lead to their explosive and destructive outbreak, causing numerous problems. 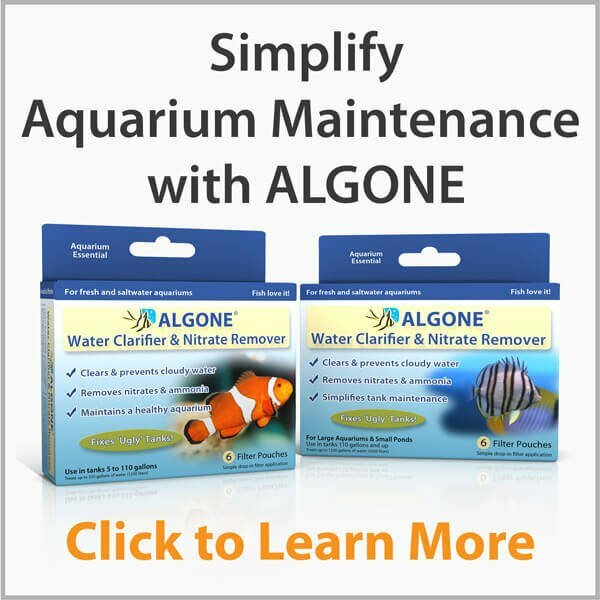 Algae cannot be completely eliminated from the aquarium no matter how big the effort. However, outbreaks can and should be controlled to maintain tank health. Instead of trying to eliminate algae by treating the symptoms, it is far more effective to focus on the cause. Successful algae control requires controlling the aquatic environment; thus avoiding an outbreak and the subsequent algae treatment. Prevention is possible by avoiding a favorable environment that allows excessive algae growth. Algae growth relies on water and light, as well as other contributing factors such as: nitrates, organic and inorganic pollutants, phosphates, silicates, and iron. Since eliminating water from the aquarium is not an option, light and contributing factors must be controlled and adjusted. Fluorescent light bulbs are the most commonly used light sources, but they need to be replaced every six to nine months due to a loss of lighting power over time and a change in the light spectrum. As the bulb ages, the light spectrum becomes increasingly more favorable for algae growth. Light becomes more easily absorbed and helps the algae produce energy through photosynthesis. A late replacement of the bulb will not eliminate the risk of an algae outbreak. 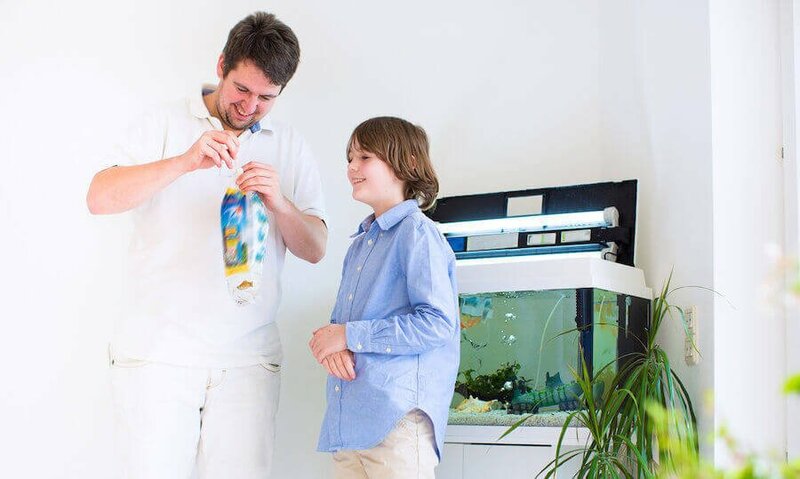 On the contrary, replacing the bulb after a prolonged period of use (1.5 – 2 years) will dramatically increase the energy input in the aquarium. This is especially true in planted tanks or aquariums with an already progressed algae population; the increase of energy will further the growth rate. Since plants and algae are both photosynthetic, the result of the newly replaced bulb may cause an increase in oxygen levels above a healthy level. Dramatically increasing oxygen levels will deplete trace elements and shorten the availability of essential minerals and vitamins. An intense growth factor will reduce CO2 in the aquarium, which will in turn lead to an increase in pH. Some plants, such as cryptocoryne (crypts), limnophilia (Foxtails), and rotala, store ammonium as a nutrient in their leaves. Ammonium is relatively harmless at a pH below 7.0, but once the pH rises above that, ammonium is transformed into highly toxic ammonia. Allowing the pH to rise will literally poison these plants from the inside out. Decaying plants will contribute to algae growth by increasing organic waste in the tank. Furthermore, algae benefit from decaying plants as the competition for nutrients decreases. 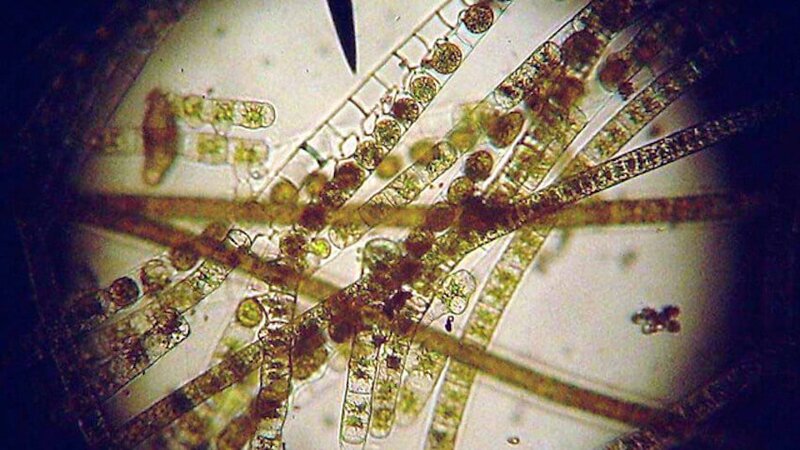 Low CO2 levels encourage algae growth; algae can utilize carbon derived from carbonates. Carbonate availability increases as the CO2 drops and the pH rises. Since plants do not have this ability, algae benefit again. 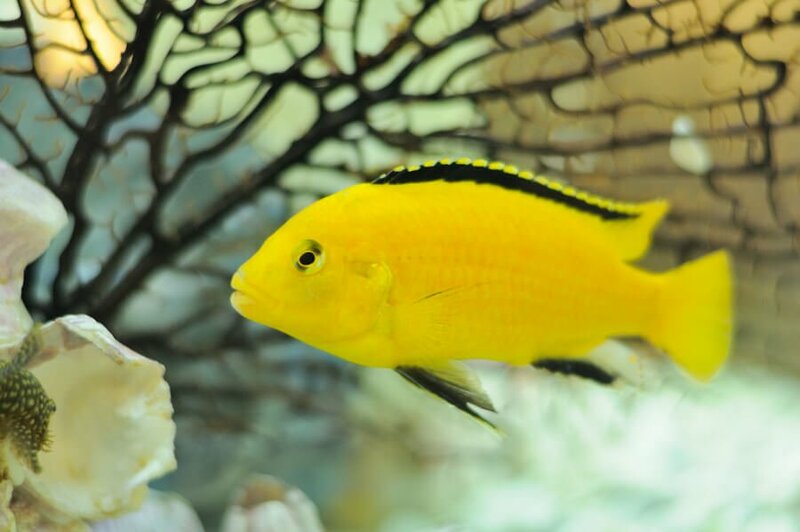 Overfeeding fish pollutes the aquarium water and creates favorable conditions for algae outbreaks. Waste resulting from overfeeding must never be greater than the tanks’ own ability to break down this waste. If it exceeds the breakdown capacity of the aquarium, the water column is thrown out of balance, contributing to the decisive factors for fast and sudden algae outbreaks. Overstocking an aquarium has the same effects as overfeeding. If the stocking rate exceeds the tanks’ limitations the results are equal to the effects of overfeeding. The effects of overfeeding and overstocking are not immediate. Because it takes time, the hobbyist does not always easily recognize the cause of an algae outbreak. 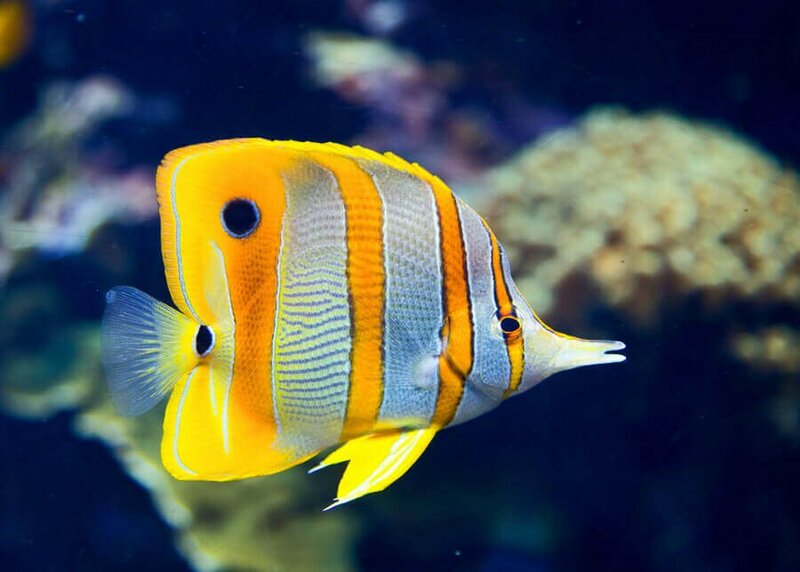 Uneaten food particles picked up by the aquarium filter will have the same effect as particles settled on the substrate unless the filter is regularly rinsed or replaced and the waste is removed from the system. D = Days in which the can is used up. (45 x 0.16) x (50/100) / 60 = 0.06. 0.06 x 1000 = 60 ppm per day. 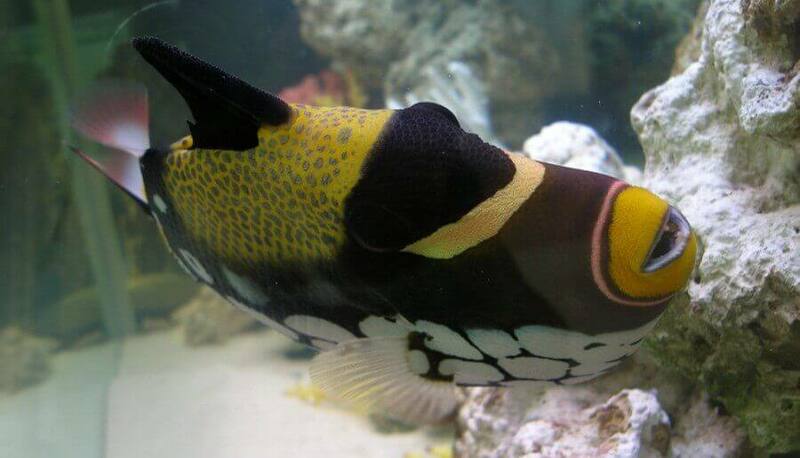 Too many fish increase pollution in the aquarium, also increasing the chances of algae growth. Healthy stocking rates are at about one inch of fish per fifteen square inches of water surface. A good feeding guideline is to feed what fish can eat in approximately one minute once a day. 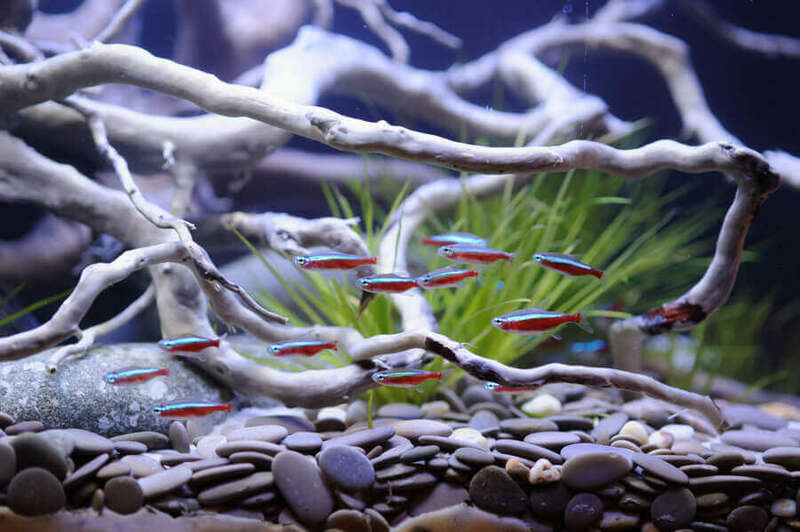 Regular aquarium maintenance should include partial water changes of 10-20% every other week in addition to vacuuming the gravel and rinsing the filters. Combined with timely replacement of the lighting, algae can be reasonably controlled. Algae-eating fish and critters prefer fresh and soft algae which are often not the ones that are a visible problem and a nuisance. Algae eaters are therefore part of the preventative measure, but not part of the solution once the algae are out of control. 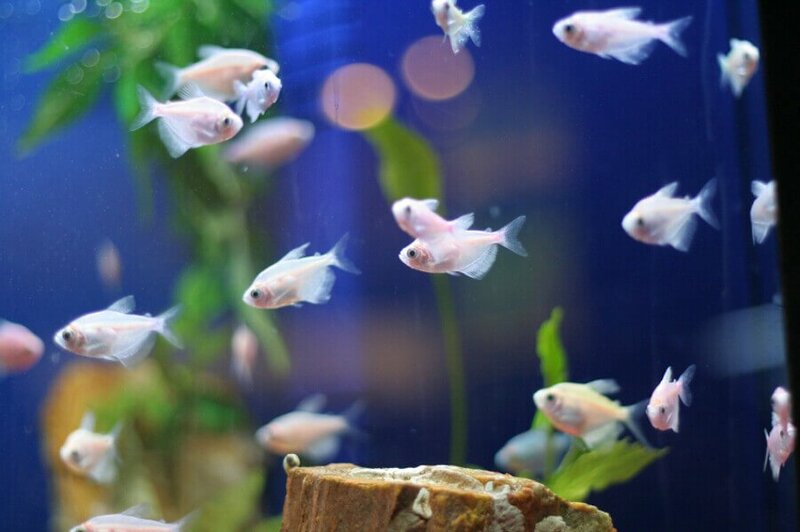 Adding new fish to an already algae-infested aquarium will likely worsen the problem as more waste will be produced, and the aquariums’ bio-filter will need to adjust for the change in bio-load. Despite following all of the above, avoiding algae outbreaks can still be very challenging. An aquarium is a delicate environment which needs regular attention. Often our busy lifestyles make consistent maintenance a challenge. So from time to time “it just happens”! When an outbreak does occur, don’t fall for the quick fix! There are some products, such as algaecides, which appear to offer a fast solution to the problem. Common ones are simazine, copper, and surfactants. Copper is a toxic metal and affects bacteria as well as crustaceans. The bad effects of copper have resulted in the decline of use of all forms of copper (i.e. copper sulfate) in algaecides. 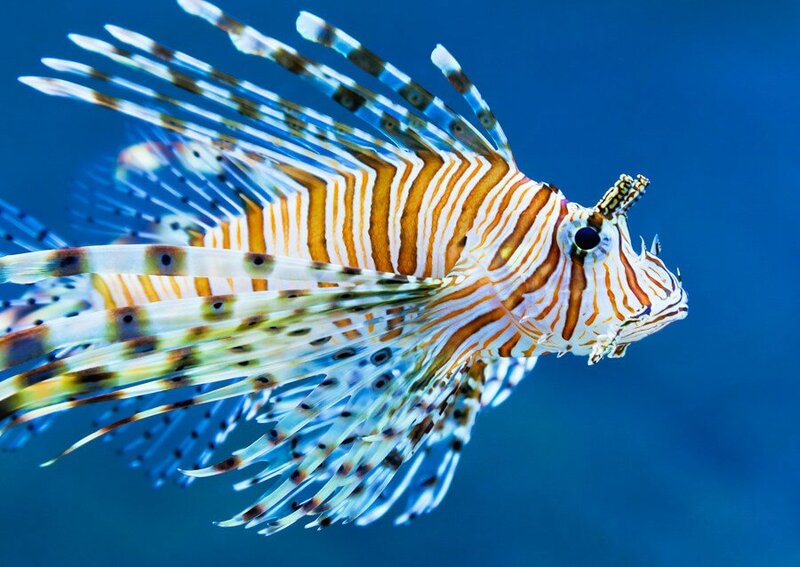 The main manufacturer of simazine has withdrawn the chemical from use in aquariums and commercial fish breeders intended for human consumption, due to the negative impacts and effects of long term use. Warning labels indicate not to release the compound into lakes and streams. Surfactant (lowering water tensions that destroy cells) manufacturers openly state that this algaecide is toxic to fish. No matter the marketing, the facts often remain undisclosed and many chemical compounds in algaecides will remain in the water for years. The detrimental effects are often only discovered much later, and are no longer associated with the past use of these chemicals. Use of these chemicals will do nothing to actually fix the cause of algae outbreaks and will in no way heal the tank. The problem is therefore likely to return at any time. I have an all plastic 6.5 gallon tank with a tight fitting top. The top is fitted with LED lighting that changes colors – but can also be set for “white light”. The pump seems small and I’m not sure if it’s “efficiency”. The tank has two small goldfish, two Vallisneria plants and two small Assassin snails. Is the LED lighting going to cause a problem? You should not have any issues with LED’s for this setup. Eelgrass is fast growing and easy to maitin, the lighting will be adequate. 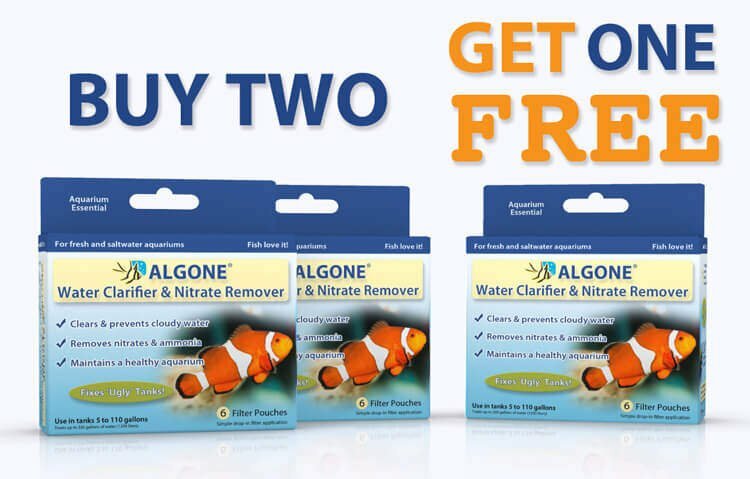 I want to stop algae in my aquariums completely I am sick of it , please help..